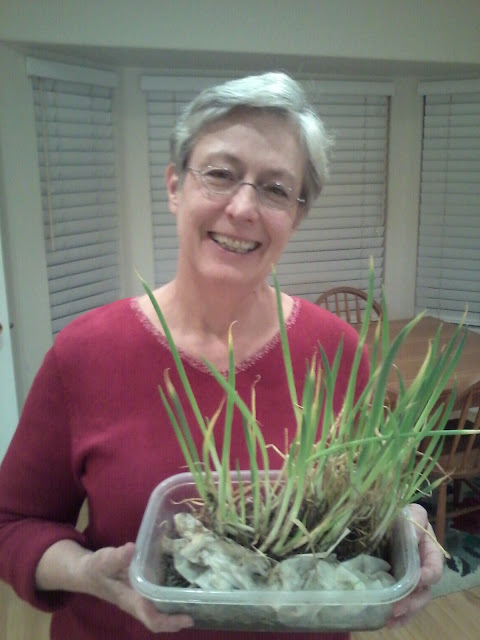 New Utah Gardener: Indoor Gardening . . . In The Garage? Indoor Gardening . . . In The Garage? This is my Aunt and those are her green onions! A few weeks ago, she and my Uncle emailed about rescuing these onions from their community garden plot. And here is the picture!